NEW NRPS SHIRTS & CAPS! 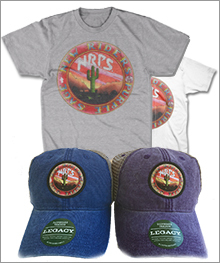 Check out our new line of high quality NRPS shirts and Caps, available now in the Store. Our ultra-comfy NRPS Logo T-Shirts are printed in San Francisco with 11 colors on Next Level T's and available in White and Ash Grey. Our new Legacy Dashboard Trucker Caps are available in Purple and Blue and are 100% cotton fine gauge canvas with Supersoft™ mesh and a vintage wash for a subtle sun-bleached effect. Matching undervisor, full crown top-stitching, premium, hi-density visor board and a Snapback closure.